Download Western Australia's premium fishing mobile app for all your WA fishing rules. No more rule books - have the most up to date WA fishing rules and fish ID at the touch of a button, even when you're outside of phone and internet reception! World class pictures and details of hundreds of species of fish and other aquatic animals right at your fingertips! 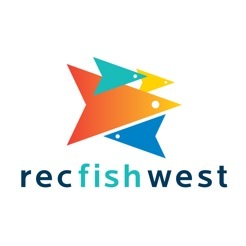 Includes up to date information about all your favourite fish, including fishing seasonal and licences, bag limits, edibility ratings plus identify what you've caught with the easy 3 step Recfishwest fish ID! If you care about the sustainability of WA's fish stocks, download your FREE app today! Recfishwest has now incorporated both Commonwealth and State Government Marine Parks on our App to make your fishing as stress free as possible. The new mapping feature will give you confidence on the water as you need to know what you can and can't do in and around marine parks in WA. New features include: Commonwealth Marine Parks and fishing activities allowed WA State Marine Parks and fishing activities allowed Marine Park maps downloadable for offline/ out of range use Notifications when entering and exiting a Marine Park Fish search function takes you back to last accessed species. Great app to use, shows most targeted fish in the area. Only problem is when you click on a fish on “fish rules” then go back to previous page it takes you to the start of the list “A”. I’m sure this is ok for most fishers just trying to ID a fish. But as a diver who has to go into the water knowing every single fish, size limits and bag amount, it’s pretty frustrating to scroll through the list to get to the next fish inline. The app is great and very useful. However can the developers please add a few more species and add support for Iphone x. I enjoy the app and use it on almost every trip. Would just like for it to be full screen on my IPhone x. Great app, makes getting into fishing easy and problem free. Knowing bag and size limits can be hard to remember for all species, this makes for easy reference. Keep it up.